Picture a tiny pilot and a wing walker or two. Classic 1920s biplane is cut from steel and rusted all over. The propeller spins in the wind. 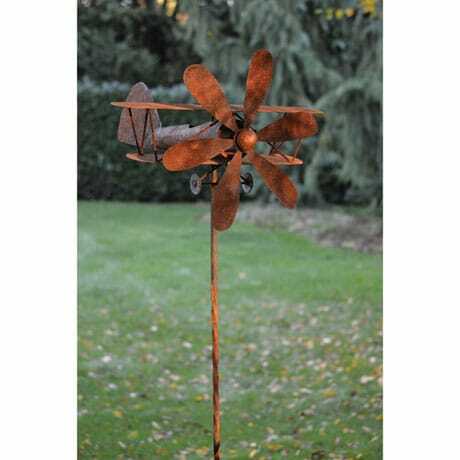 19" wide, 22" long, 107" high on sturdy metal stake (included). Simple assembly.